It’s June and thankfully in many parts of the country the sun has appeared – let us rejoice! As it gets warmer, you may want to use a lighter foundation and let your skin breathe, but to do so you’ll need to feel confident your skin is radiant and glowing! To boost radiance and get that gorgeous Angelina Jolie-type natural glow we all long for Dr. Murad recommends looking for products with Vitamin C: “When used in intense quantities Vitamin C helps to build collagen, brighten skin and neutralize toxins.” This sounds like the perfect ingredient to perk up our ageing, polluted skins! But can’t we just eat more oranges? Well yes, we highly recommend eating your water through raw fruits and vegetables to strengthen your skin from within however the body can only absorb so much vitamin C from food. Dr. Murad explains: “Since there is a limit to how much Vitamin C the body will absorb from food, it is important to bypass the body and deliver this potent nutrient directly to the skin. Applied topically, Vitamin C not only keeps the skin moisturised and supple, but it also helps rebuild elastin and collagen, which help keep our skin firm and plump. Vit C also neutralises damaging free radicals – these nuisances attack us on a daily basis wherever we go, think pollution, cigarette smoke, sun damage and processed foods – which can cause premature ageing (argh!) and it even increases the effectiveness of a topical SPF, protecting the skin from the sun’s harmful rays.” We say hurrah for Vitamin C! 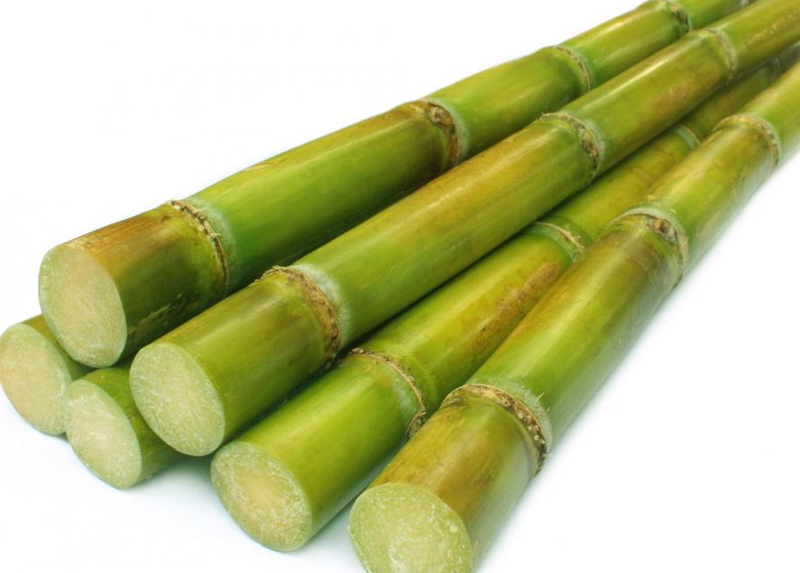 Interesting fact: Glycolic Acid is extracted from natural sugar cane! Since Dr. Murad is a super clever dermatologist (ELLE magazine calls him a Beauty Genius don’t you know!) he’s taken Vitamin C to the next level. Not only has he stabilised super powerful forms (hardly any other brands can do this) but he’s combined his five-star Vitamin C with other fab ingredients like Glycolic Acid and Indian Fig. Glycolic is Dr. Mruad’s favourite surface exfoliator – here’s some trivia for you, he was the first person to discover their potential in skincare and brought them to the beauty market many moons ago! So with Glycolic Acid exfoliating away several layers of dead, dry or dull skin, this speeds up cell turnover so the new, healthier, more radiant skin beneath can shine through. New botanical ingredient Indian Fig stimulates our skin’s own natural exfoliators giving us the most exfoliation and brightening power we can get! The synergy of these ingredients with Vitamin C works to enhance our skin’s luminosity and causes an immediate boost in the brightness of the skin. 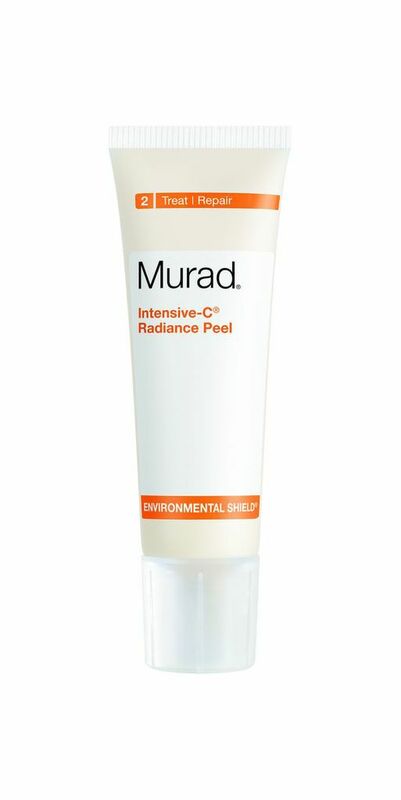 If you’re as excited about Dr. Murad’s new Vitamin C complex as we are you may want to try our brand new product: Murad Intensive-C® Radiance Peel – it’s the only one to have this in! This radiance-boosting home facial peel combines exfoliating, smoothing and hydrating powers with potent antioxidants for visibly brighter skin after just one application. Popping this peel on your face for ten minutes will the best ten minutes you’ve invested in your skin – and no downtime like with traditional peels, so you are good to go right away! We’ll take two! This entry was posted in Anti-ageing, Pigmentation and dark spots, Topical and tagged Antioxidants, Glow, Radiance, Vitamin C by muraduk. Bookmark the permalink.